Learn How to Stop Smoking Weed and Crush Your Withdrawal Symptoms...Everything you need is here and available immediately. 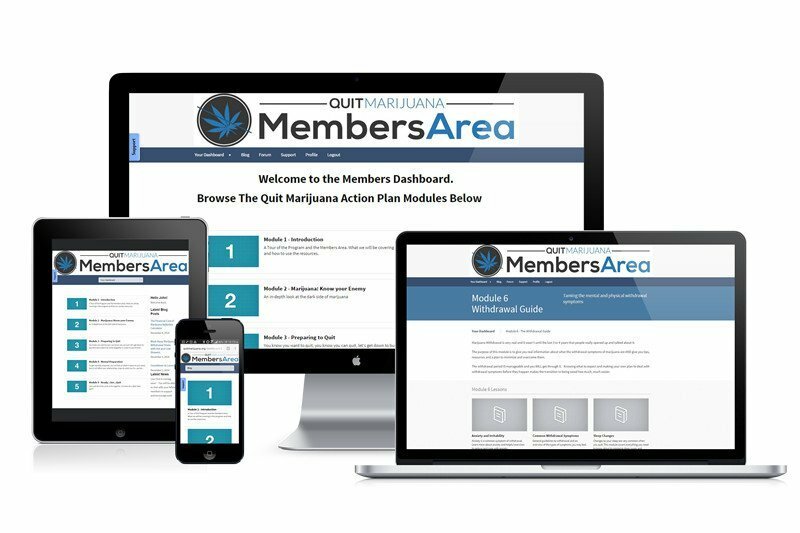 The Quit Marijuana Action Plan is an interactive program that includes lessons, videos, and exercises that guide you through the entire process of quitting. It's the blueprint that makes learning to quit smoking weed easy. No more failure, no more guilt, no more saying your going to finally quit then smoking again in the same day. Follow the Steps and you will stop smoking weed in 30 days or less, guaranteed. Know Your Enemy - What they didn't tell you when you started smoking weed. The Withdrawal Guide - How To Avoid and Overcome Weed Withdrawal and Why Detox is BS. Bumps and Setbacks - Spot problems like a hawk so you stay quit forever. The single most important secret for quitting marijuana. Violating this rule is the most common cause of failure. Bottom Line: The Quit Marijuana Action Plan is designed to make quitting as SIMPLE and PAIN-FREE as possible. Smoking weed gave me a false sense of happiness, when you smoke you think it improves your life but it truly does not. When you quit you go through the "emotional rollercoaster" that includes paranoia depression, anger, sadness, amongst many other things. John from quitmarijuana has been there for me thru every step with support, knowledge and tips and tricks to help me stay strong and keep peace of mind. Hey John, Day 24 is done! I know that feeling of clarity you get, It's a wonderful feeling. ...And there is truly NOTHING better than looking back and seeing how far you have come. But you need to start somewhere. And you need to start today. Don't let another day go by. Because days turn into months, months turn into years. Just imagine 30 days from now being weed free - for good. If you aren't completely satisfied with The Quit Marijuana Action Plan and your Membership to QuitMarijuana.Org I will give your money back with No Hassles up to 30 days from the date of purchase. I am committed to helping you quit smoking weed and providing the best resources available so that you can quit weed. Get Your Mind and Memory Back. No more brain fog, slow mornings, and needing to get high to feel normal. Have Better relationships with your partner, friends and family you love. Be completely present. This site is awesome. It helps so much to hear about what works. Day 25 for me. 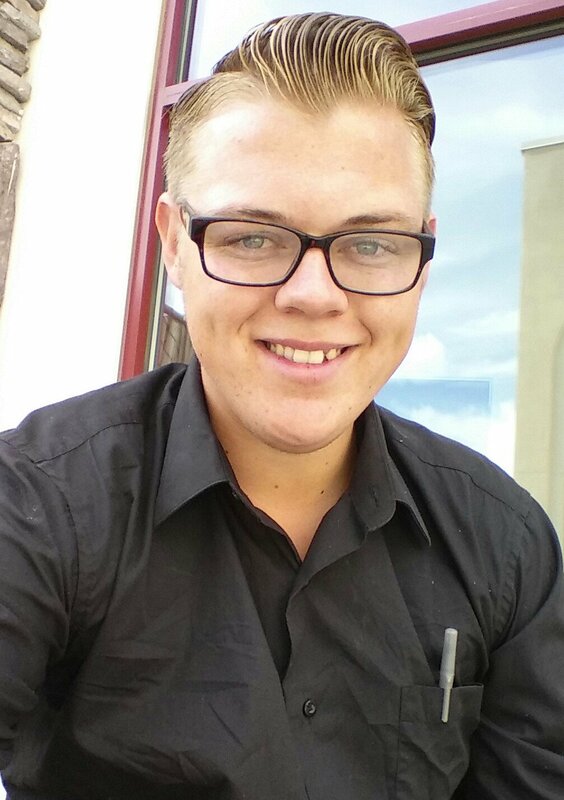 I'm loving have my head out of the clouds for once, I'm gaining confidence in myself in every aspect of my life. P.S. Order now and lock-in both of your Bonuses: FREE Email Coaching for 30 days and Lifetime Membership to QuitMarijuana.Org, your source for learning how to quit weed forever and conquer your goals after quitting. P.P.S. I believe that the Quit Marijuana Action Plan will make a huge difference in your life. Albert Einstein said "Insanity is doing the same thing over and over again and expecting different results". Even If you are struggling, even if you have failed to quit before, try something new that's proven and guaranteed to work. I want you to help you live the life you want by making quitting weed as simple as possible. It may not be physically addictive but it certainly does take over your life if you let it. I have been free of it for 53 days and I see a difference in my attitude and health. ..Smoked it all day everyday for 7 years. Failing drug test when you really need a job makes you feel like a looser and makes you want to smoke to forget about it. I have been around someone else smoking it twice and really did not even want to do it and realized how it makes you dumb. I quit cold turkey and have never felt better. I realised it was my time as I am 63 yrs old with much of my previous life in a paranoid daze isolating myself from all who loved me out of guilt and self loathing. As you age memories are very important and I realised the last few years I had none, very scary. The key to quiting is not to give up on trying . I can honoustly say this is it for me as time is precious and not to be wasted. My friends are coming back as well as my relatives that I had ignored for most of my life. I started smoking at 15 yrs so there is a lot to catch up on. Life is wonderful!!! To move out of your comfort zone is liberating. My only regret is that it took so long for me to understand this reality. I feel reborn and energised and ready to take on life as it is a blessing. I am quite successful in many ways materially but that pales in comparison to how one can feel inside when you have conquered!! Having your support has meant more than you probably realise. I understand that If I am not completely satisfied with the Quit Marijuana Action Plan and my QuitMarijuana.Org membership I’ve got 30 days to get my money back with the 100% 30 Day Money Back Guarantee.